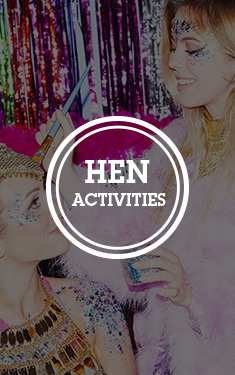 When you think of hen nights, the colour black isn't always what comes to mind when deciding on ways to brighten up the outfit. 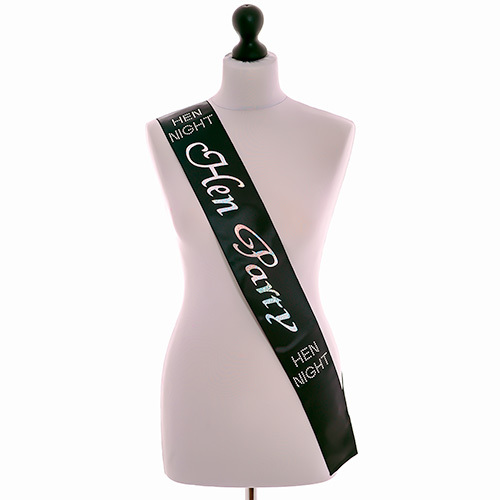 Although not your standard idea, the black hen party sash looks very classy with the simple silver 'bride to be' writing and really does shine with a diamante studded 'hen night' design. 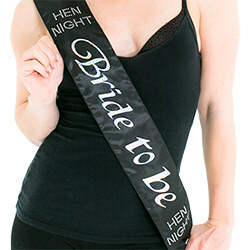 The black bride to be hen night sash really will make the leading lady feel very special on her big night and is a great costume accessory for a rather more low key event. 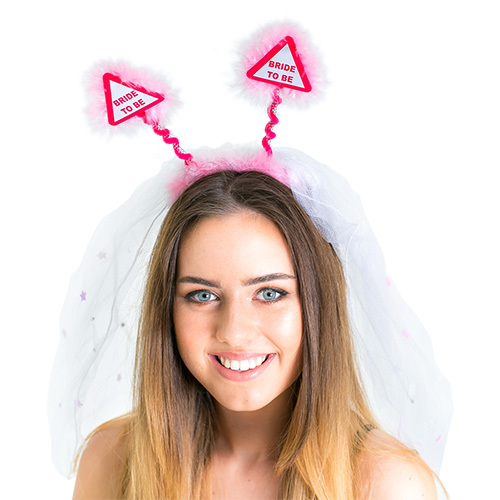 Simple yet effective, perfect for making her stand out from the rest of the crowd. "really pretty, good material, and was strong enough to endure drunk laser quest!" 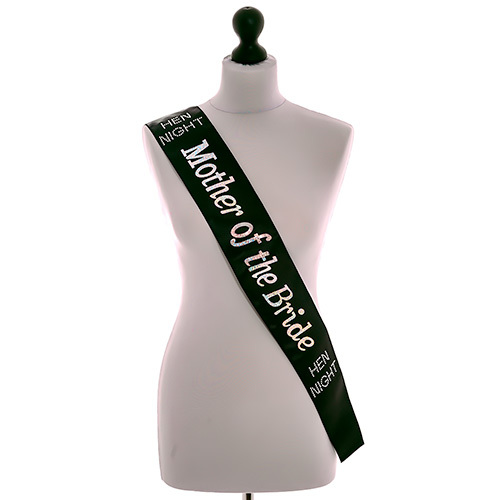 "Looks lovely on, much classier than I thought it would be"
"very happy with the product quick prompt delivery. :)"
"brilliant quality and looks great"
"Pretty good quality but don't stay in place." 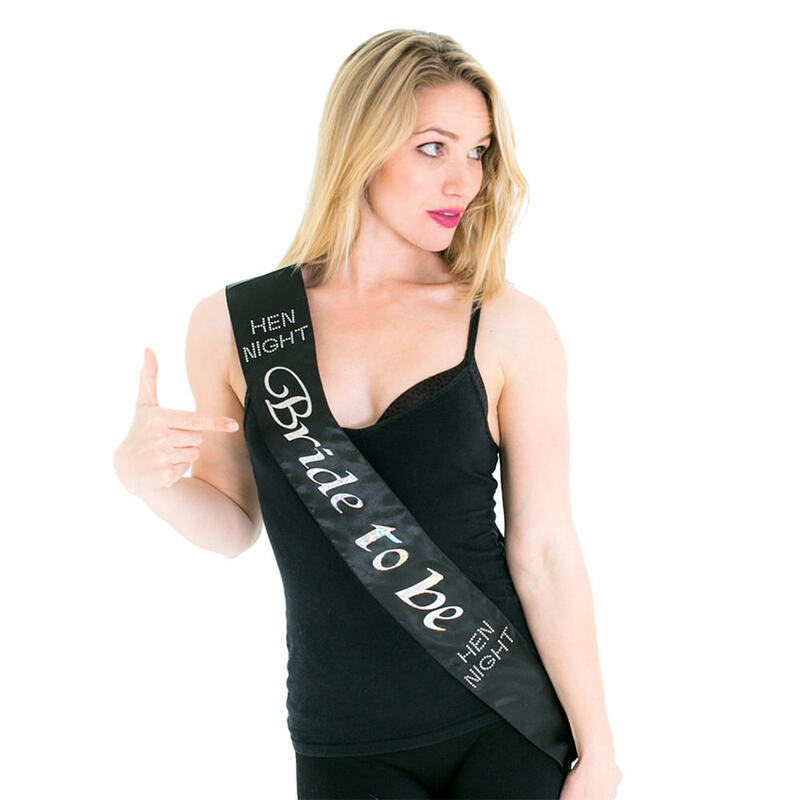 "Bride to be sash was good, not gaudy and the bride didn't object to wearing so a successful buy! " 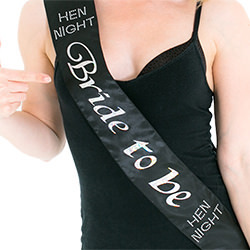 "Sashes and accessories for my Hen night were simply great!" "Great quality and very happy with them." 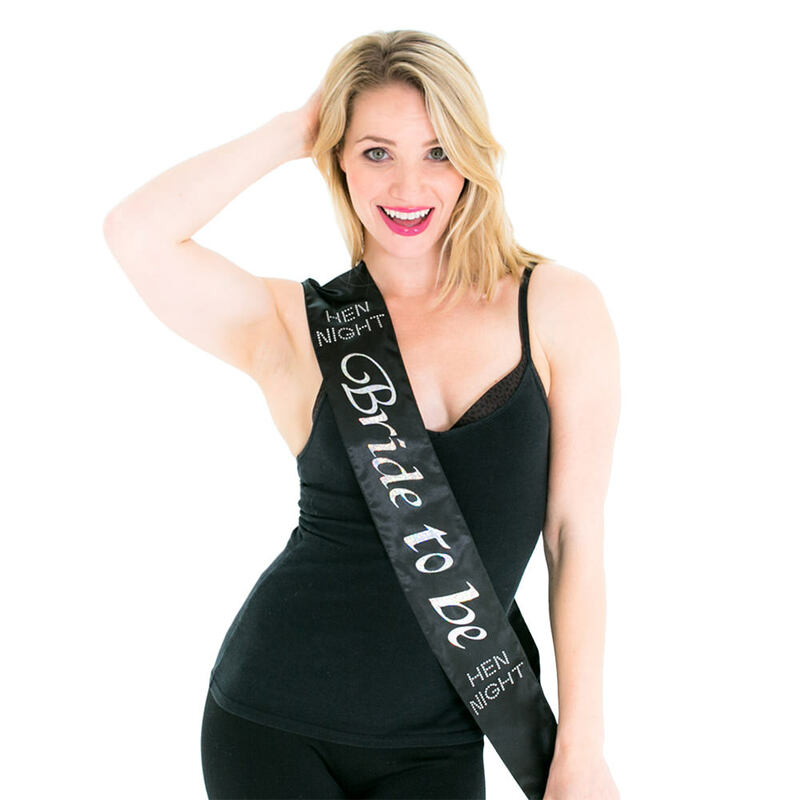 "Lovely sash, would highly recommend." 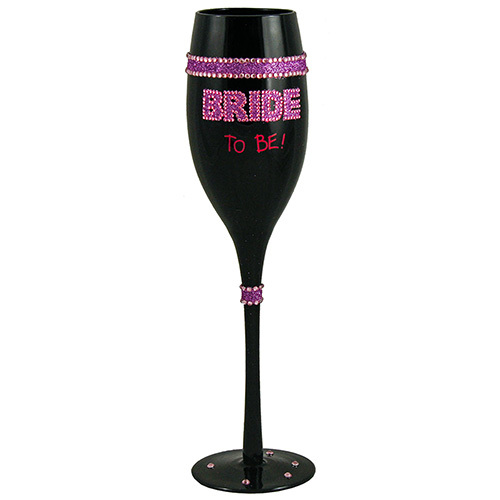 "Bride-to-be LOVED this and looks really stylish. The diamantes give it that extra edge." "Lovely item, seemed well made, as described." "A good size - easy to wear. 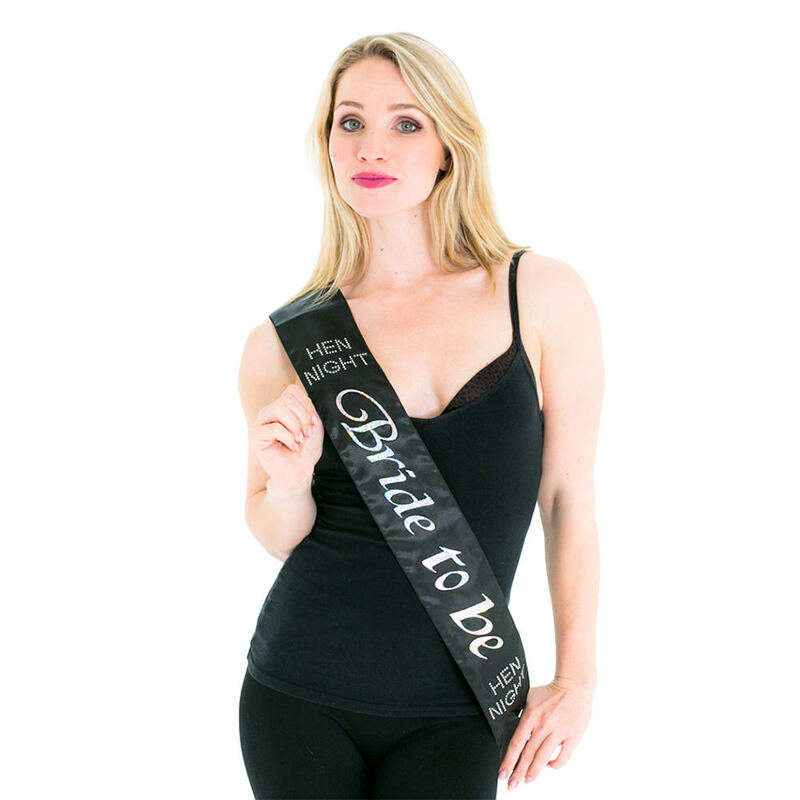 The diamante effect however did start to come off"
"Really great for a slightly shy bride who didn't want anything too bright and gaudy!" 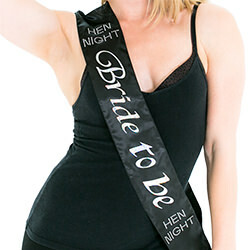 "Perfect for the hen as she wasn't really into being dressed up, this black bride to be sash is the least in your face one I've seen!" 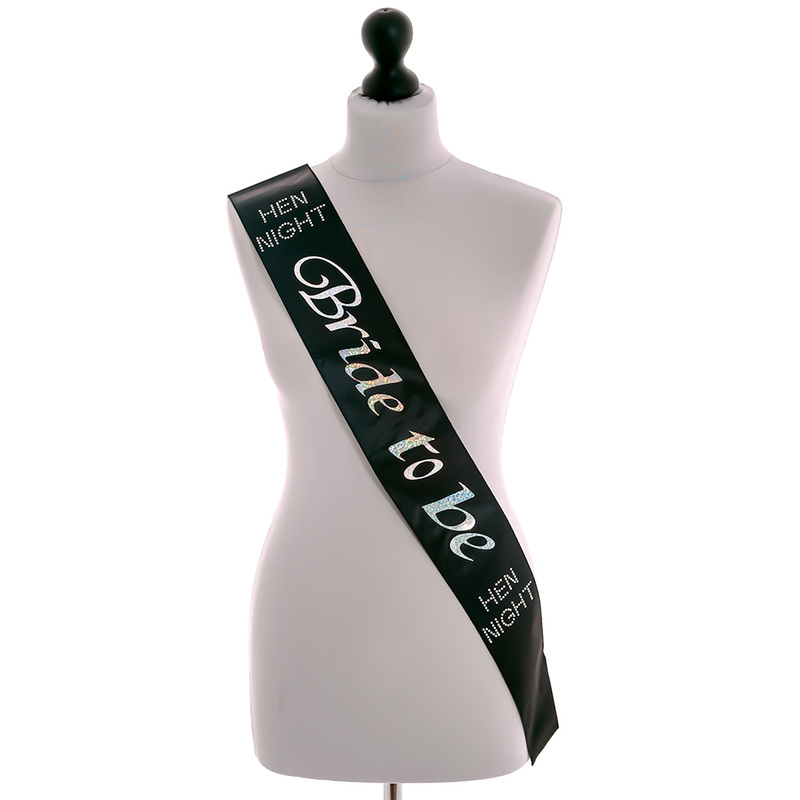 "My sister (who it was brought for) loved this black bride to be sash, she thought it was nice to have something a bit understated! It went well with her outfit too." 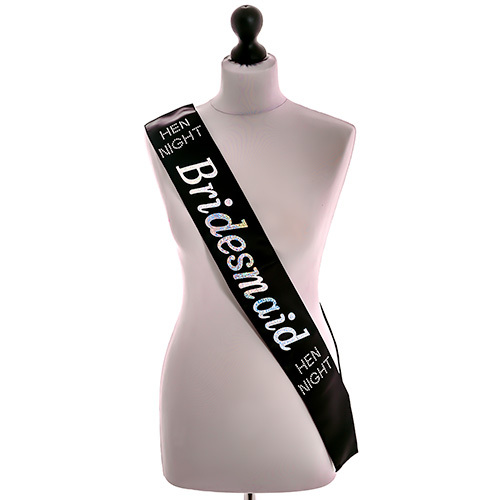 "The bride was very happy with it!!!" "Lovely, really happy with this." "Good quality, not as tacky as some are."